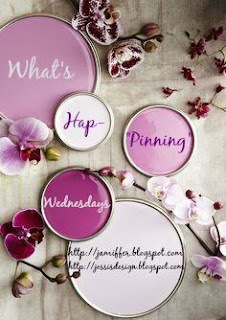 Jessi's Design: What's Hap-"pinning" Ya'll! Apple sangria? Yes please! FOR SURE making since this year I'm not preggo! Ok now, how cute (and simple) would this be to make? Canvas, paint, marker..check! And the MOTHER of all Fall things for me right now - THIS! Anyone who knows me - also knows my love for all things blue and white. Can we just take a moment to see this Insta post from Town & Country? LOVE! 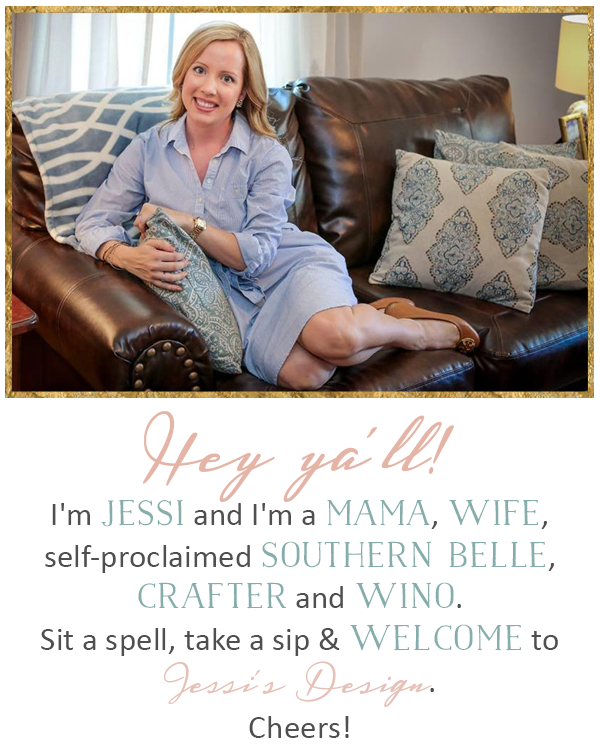 Super fun fall things, friend! Loving that chalkboard!!! Missed you last week! 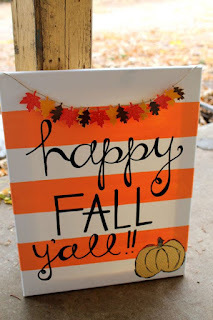 You should link this up for the last day of our Falling for Fall linkup!!!! Love blue & white so much - our whole basement is a blue white theme and those pumpkins would go perfectly down there! 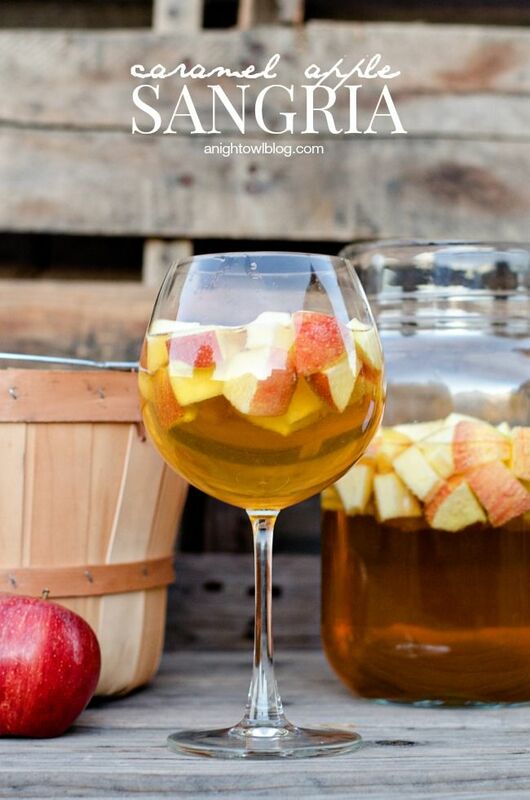 Caramel Apple Sangria!! Yes, please!! That sangria sounds delicious! And I love all your little spots of fall...I just love this time of year! 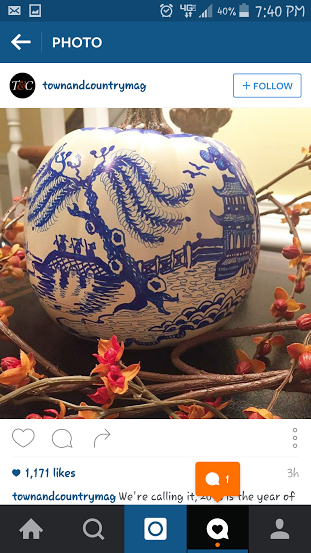 Loving those blue and white pumpkins! I don't think I have the artistic ability to pull them off, I need to find a stencil! Love that chalkboard - so adorable! 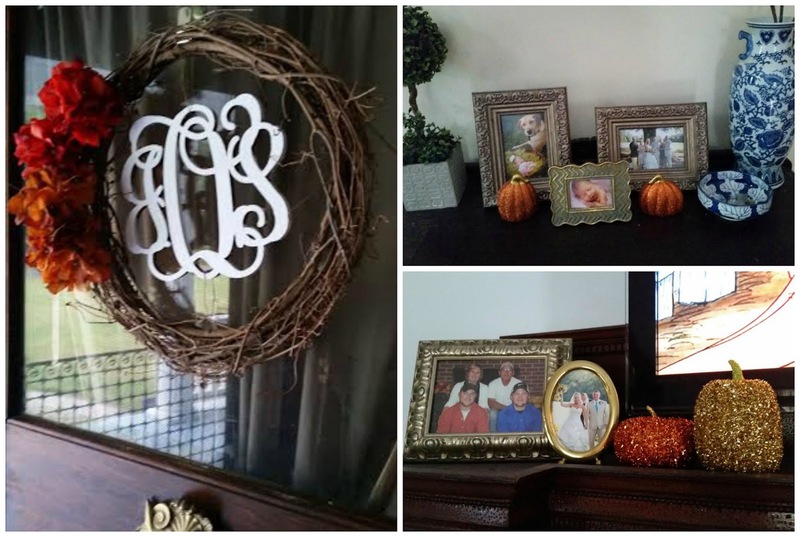 Also, loving your monogram wreath! 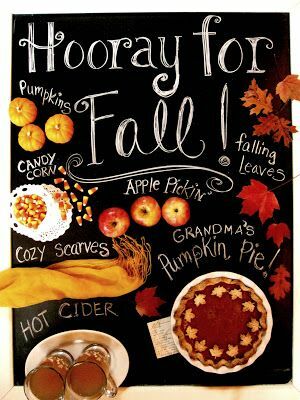 Loving all this fall inspiration, especially that chalkboard! That chalkboard is too cute! You are right! It looks great with the Fall color palette! Oooh that apple sangria sounds delicious!